Third day was rest day. After our sumptious breakfast, we decided to get the famous Jonah's fruit shake before heading to White house. We stayed there for lunch until afternoon enjoying happy hour. 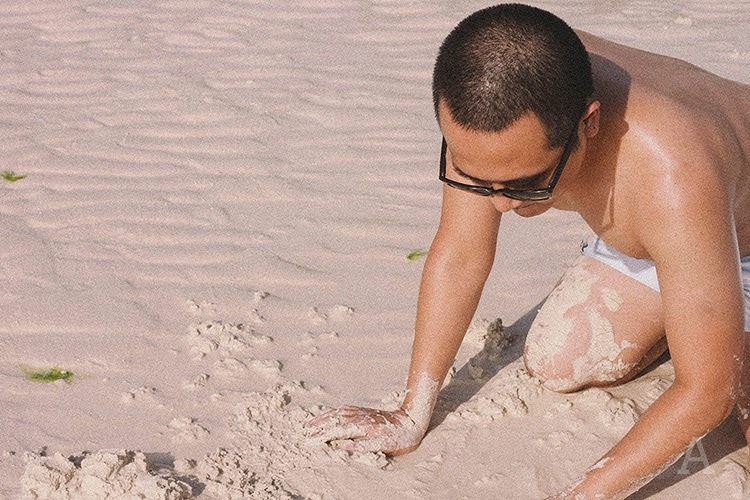 Since we've got nothing to do but beach bum and I had to bathe in the sun to get a little tan, I decided to play with the sand. The artist in me striked again so I had to make my sand art soon as low tide hit that afternoon. After a late lunch; which, was incomparrably delicious, we decided to play in the sand. 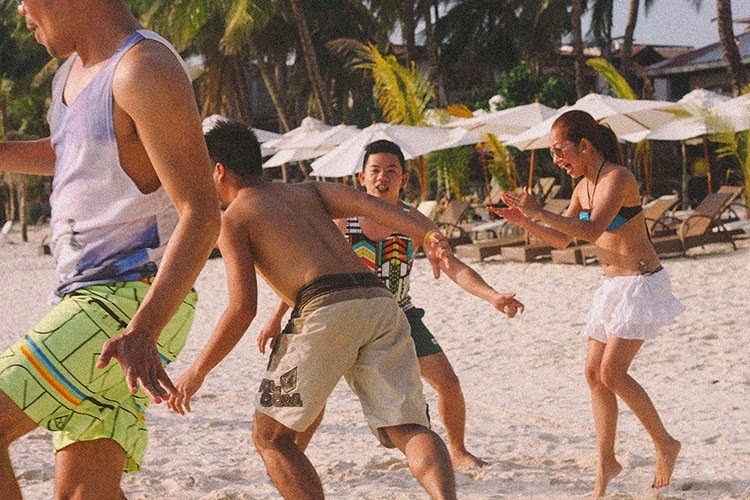 We couldn't get a volleyball to rent so we decided to play our childhood game, patintero. It was fun and nostalgic to relieve the memory of our favorite childhood activity. It was careless and free. Mañana had to be our dinner that night. It is the only restaurant that's always included in any blog's top ten. We had to try the famous burrito and it never disappointed us. It was, by far, the best I've ever tasted. great photos. looks like you guys are having a blast. i always make sure to go to bora everytime i go back home...usually my last stop before heading back to reality. Isn't it always a joy. 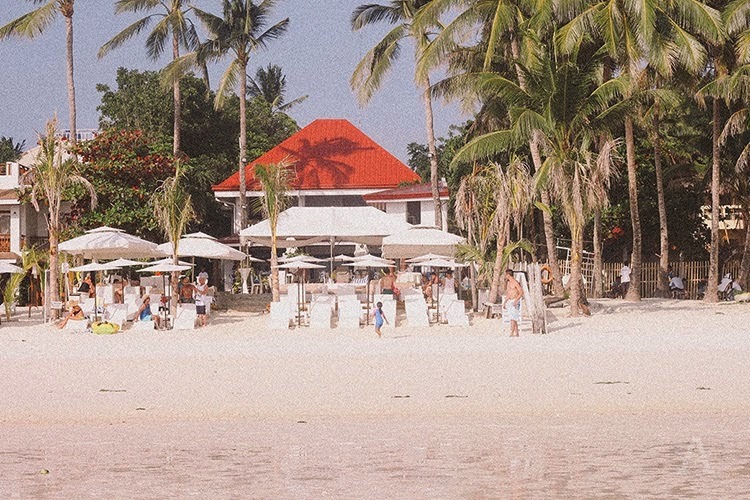 I'll never get tired of boracay. Not for anything else but the beautiful paradise it offers.